Microsoft UK's aim is to build social and economic prosperity in the UK through their citizenship programmes. One area in which Microsoft works to make a difference socially within citizenship is through community affairs. Microsoft has successfully established an extensive network of non-profit partners to support community-based programmes and local projects that will enable more people to have access to technology. Cloud-based tools can support charities, with advantages in security, organisational control of data, ease of use and increased agility. Thankfully, moving to a cloud-based solution doesn’t have to mean retraining your staff or volunteers. Office 365 and Microsoft 365 allow you to use the same applications that you’re used to, with access to files anywhere online. For more information, The Microsoft charitable programmes through tt-exchange provide a wide variety of software to nonprofits, charities, faith-based organisations, and public libraries throughout the UK. To see if your organisation is eligible, see the Microsoft software eligibility page. tt-exchange encourages organisations to visit our overview of the Microsoft donation programme. There, you can learn about the quantity of products an organisation can request, special rules for software installed by public libraries, and specific procedures to follow for returns. 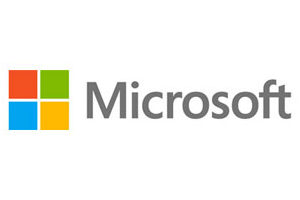 The page also provides an overview of the benefits and rules of the Microsoft Volume Licensing programme, through which the donated products are made available, along with links to help you find additional information at both tt-exchange and Microsoft.